Diesel Engine Oils, Marine/ Power Station Diesel Engine Oils, Hydraulic Oils, Gas Engine Oils, Industrial Gear Oils, Compressor Oils, Steel Mill Oils, Turbine & Circulation Oils, Transmision Oils, Heat Transfer Oils, Spindel Oils, Hydraulic Gear, Machinery Oils, Slideway Oils, Rock Drill Oils, Metal Processing Fluids, Greases, Synthetic Oils. Agip, Amsoil, Arco, Bp, Brad Penn, Caltex, Castrol, Cepsa, Champion, Chemlube, Cevron, Citgo, Conoco, Elf, Eneos, Exxon Mobil, Fiske, Fuchs, Gardner Denver, G-Oil, Havoline, Idemitsu, Ingersol-Rand, Interstate, Ipiranga, Kaeser, Kendall, Kendall Liquid Titanium, Keyston, Klotz, Klueber, Leroi, Liqui Moly, Lubrax, Lubrication Engineers, Lubriplate, Lukoil, Luxoil, Marathon, Mitasu, Mobil 1, Mobil Oil, Motorcraft, Motul, Mystik, National. Nippon, Nynas. Peak, Pennwalt, Pennzoil, Penrite, Petro Gulf, Petro-Canada, Petronas, Phillips, Polytron, Primrose, Quaker, Quincy, Quintolubric, Redline, Royal Lubricants, Royal Purple, Royal Purple, Royco, Sasol, Scope, Seahorse, Shell, Sullair, Summit, Supertech, Texaco, Total, Ultrachem, Union 76, Valvoline, Wurth, Xado. 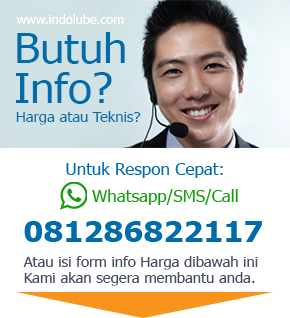 Copyright © indolube.com » Supply Oil Lubricants + Indonesia.